Not related. Every 12000 years or so it does this and we happen to be a bit overdue. sediment on the ocean floor indicates this. Do the research yourself. On average, it happens every 400,000 years, though it has varied from 25,000 to 40 million years. The transition can take anywhere from a lifetime (ours) to several hundred years. During that time, the magnetic field can drop to as low as 5% of normal. Extinctions aren’t documented, but that reduced protection from solar radiation could mess with electronics. And you might get quite a tan. the magnetic field will drop when the flip happens making us more vulnerable to the sun. no it won’t, the particles just change their direction, they don’t go away. Actually, most studies suggest that the field would experience a temporary interruption, and that several magnetic poles would form in different locations before stabilizing. During “the flip” the Earth would certainly be more vulnerable to solar radiation. so……will we feel the flipping? will water spill out from the oceans and lakes, will buildings fall over? that is the kind of thing I want to know. Susan see my earlier comment and check the website animalnav dot org and look for my postings. Have a good time. The article discusses a magnetic pole shift; not geographical. A compass would point to the current South, instead of North, and a lot of electronic devices would probably stop working. Physically, you would be unlikely to notice until you attempt to browse Facebook or Twitter for a status update. I doubt that just because the poles flip that all the electronic devices in the world would blow up or “not work anymore”. Thats a bunch of hogwash. Not only that, but data shows that the magnetic field never disappears, it only changes direction, so dont expect your electronics to get bricked anyway. Magnets will still work, generators will still work, and any electronic device from before or after 1950 and any car built before or after 1990 will still work. If anything “did” happen, we have surge protectors and grounding rods for a reason, but I seriously doubt anything would given how electricity works anyway. Also, consider this, we fly probes way out into space all the time, if a stellar body’s magnetic field had any sway over them, they would never have been able to go to half of the planets in our solar system. Further, I have yet to see modern electronics ever stop working just by waving a big magnet or electromagnet right by them. The only thing I ever saw happen was with a VHS tape and an old magnetic tape hard drive. At best, the only thing that could happen would be that all of our classic VHS tapes and all of our magnetic based films/hard drives will be wiped clean which could still affect the internet and data centers as magnetic tape is still used due to certain capabilities that disks will never have. Even then, the world isnt going to end. In reality we really don’t know much about the magnetic poles, why they reverse, how long such a process actually takes and if there is any cause for alarm. It hasn’t happened in recorded history so it’s all just speculation. sediment particles on the ocean floor show a reversal in the way the particles align. It is not just blind speculation there is very good evidence to support this idea. Besides, speculation doesn’t mean something is wrong. He never implied that the poles flipping was speculation, just that what exactly the process involves and how it might affect us is down to speculation. Maybe it will be something that takes a relatively short time and is relatively harmless, aside from disruptions to navigation and so on. Or maybe it will be something that exposes the earth to harmful levels of radiation for centuries on end, causing widespread health issues, disabling electronic devices, and potentially causing the collapse of modern civilization as we know it. So, experts, when is it going to happen? Window? Read “The HAB Theory” Flipping the poles could have an immediate negative impact on electronics, computer chips, navigation, and electrical production, like an EMP. That’s a science fiction novel…. The only thing the flips with magnetic fields is the PC/EU lot! The Geomagnetic Field (GMF) is very erratic and noisy and has reversed many times, as recorded in the magnetic materials on the bottom of the Atlantic Ocean. Many scientists support the idea that many animal species use the GMF as a navigational cue. I think they are wrong. I am one of the Editors on the Website animalnav dot org and I support the models that time navigation with their Circadian Clocks and use Gravity as their only cue. Open my Website and in the Home page Search box enter “Gravity” and see my postings and others that support my Inertial model. something tells you? maybe you shouldn’t be listening to those voices. The recent shift in earth’s axis (think ‘gyroscope’) is the magnetic response of earth attempting to keep; pull itself upright against changing isostasy. Earth’s isostasy is being altered primarily due to weight shift due to glacial ice loss. At a point of continental ice reduction, particularly at Antarctica, the magnetic ability of Earth to right itself will be overcome by centrifugal forces, and the tectonic plates will shift to rebalance the earth’s rotation and stabilize the axis. If polarity flip takes place, it will be secondary to the restructuring of the earth’s surface by way of relocation, sinking, and folding of her tectonic plates with relation to one another. This is not man-made warming glaciers and melting them from beneath. Rather an it is due to an energy saturated, superheated, excited core. Net thermal (and other) energy exchange has already reversed flow from uptake to the core, to giving up; radiating out from Earth’s core. The magma has heated too as a result, and expanded, and convection currents therein greatly accelerated. We are at close of the Holocene, and the threshold of the new geological Epoch. Ahhhhhh techno-babble. Just because it sounds scientific means nothing, friend. Show me the maths. This does not make sense. 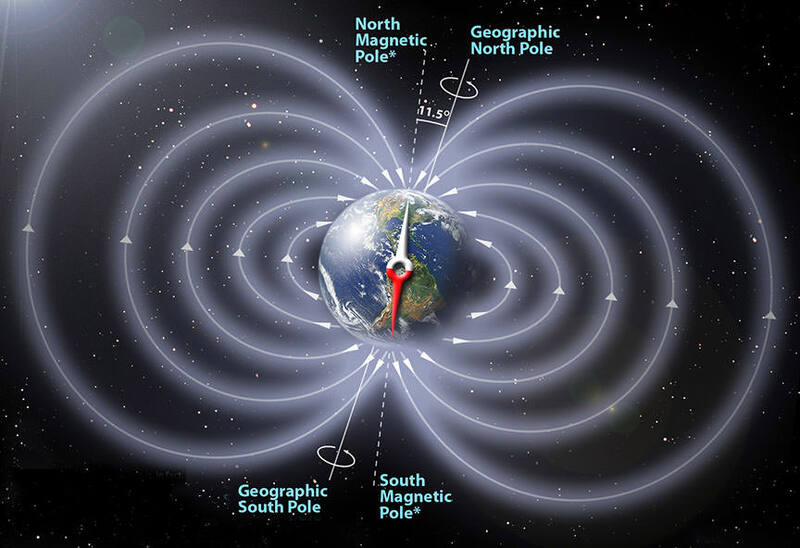 First, the magnetic pole reversal is not a physical reversal of the Earth itself. 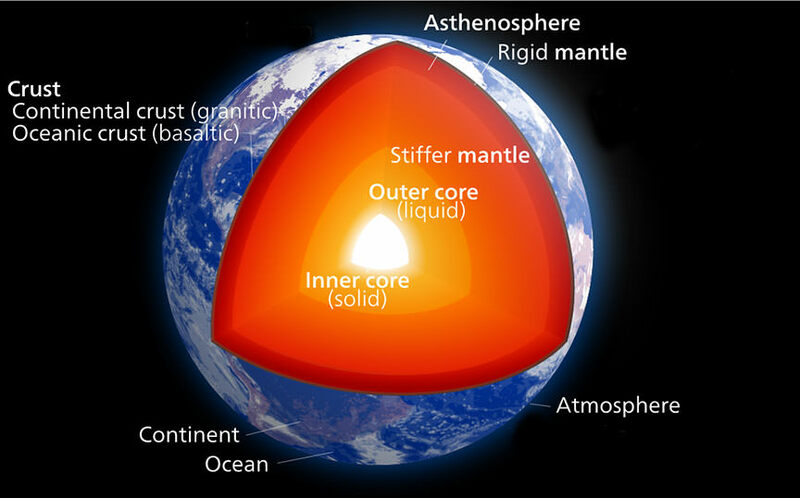 It is apparently a result of outer core material flows that shift periodically. Second, these periods between flips last for a few microseconds in geologic terms. Plate tectonics operates on a timescale that is many, many orders of magnitude larger, and therefore essentially independent of, magnetic pole reversal. The sediment cores from the bottom of the Atlantic Ocean, from the Mid-Atlantic Ridge to the Continental shelves, teach us that much. The record is kept there, while the plates kept doing their thing, a few millimeters at a time per year, regardless of the magnetic pole orientation. Third, it is true that rising sea levels (even tides) do have small geologic effects, including increasing the rate at which the Earth’s rotation slows down, since the oceans bulge at the Equator, putting more mass toward the edge and slowing us down, like a ballerina extending her arms outward (instead of having that extra mass of water locked up as ice at the poles). However, that change is on the order of nanoseconds per century, and so far, does not appear to have a measurable effect on the Earth’s core. Also, I am not aware of any data that would positively correlate rising and falling sea levels with magnetic pole reversals. Will this flip affect Trump’s hair? Hillary’s lies have been getting bigger and told in such increasing quanity that they have become magnetically sensitive. There have been so many told recently that they are affecting the magnetic pole and some scientists think this has slowed the natural shifting of the polls. Not to mention old Bill’s loins…. Since our understanding of magnetic pole flipping events is based solely upon studies of the magnetic echoes in sediment deposition? Our methods do not have either the accuracy nor the precision to tell us much more than, “Such things happen, periodically”. However, since changes in a Magnetic Field’s strength do the exact same thing that moving a conductor through a fixed magnetic field? Unless it takes decades, during the flipping of the poles, every long distance transmission line in the grid would be generating DC current. Depending upon how fast it happened, that could range from catastrophic and instantaneous failure of every grid, to minor increases in failure and maintenance. Bad things of that nature could happen, but I do not get the impression that your analogy applies. The flow of material in the outer core, and the generated electric currents, do not appear to move around like a solid bar magnet. Like any fluid flow, even highly viscous flow, there is going to be eddy currents, turbulence, and/or just unstable regions of material flow. When the poles “flip”, it will not be exactly like turning a bar magnet 180 degrees, end-to-end. Like others have commented here, and based on sedimentary data (I’d love to see a comprehensive paper with informative graphs), the pole flip will most likely take place over a geologically short, fairly-well-delineated timeframe. The relative uniformity of the magnetic field will most likely break down, where there will probably be multiple north and south magnetic poles quasi-randomly forming at any number of a variety of directions before the outer core material flows (we think) will settle down into an orientation where the north and south magnetic poles will be in essentially opposite locations to where they are now. So this means my toilet will swirl the other way correct? Providing your still around to flush it. If the poles reversing come from the earths plates balancing the earths rotation you may not be around to know. Im sure republicans will get blamed for that too. Millennials will be looking at the phone going come on Face Book load. If this happens I guess the sun will rise in the west, set in the east and my farts won’t burn anymore. Ah yes, the semi-annual flipping poles piece. This reminds me, aren’t we a few days overdue for the latest Yellowstone Caldera story? Yes, there have been a lot of pole flip stories, but the purpose of this story was to share the news from the Swarm satellites. Would love some other opinions on whether or not this may be effected by the LHC . If you check out BPEarthwatch on youtube you can see some pretty well informed videos that help substantiate such an idea. The LHC accelerates accelerates a very modest current of protons over short periods of time, weeks and sometimes months apart. It’s effect is laughably small. Besides, it’s not the only large particle accelerator currently functioning in the world, not to mention all the synchrotrons in the world running for substantial periods of time throughout the year. They aren’t well informed at all, as anyone that knows even a little about the LHC and science behind it realizes that’s all crackpot nonsense. Earth is hit with high-atmosphere cosmic rays hundreds of times per day that far outweigh anything we’ve accomplished in the LHC as to date…and we’re still here. Just keep power on and the force shield up don’t let the sun go down on me. Here we sit on a massively powerful dynamo, rotating magnetic fields spinning in space, surrounded by an external magnetic field supplied by the Sun. Why haven’t we figured out how to tap that electrical generator for power? Is JP Morgan holding this back as well? This planet goes through periodic changes that can be seen throughout millennia, changes in the magnetic poles to be included. What I’d like to hear about is your hypothesis on the effects of this event. Will this cause any kind of natural disaster (i.e. : earth quakes, changes in weather patterns, etc…)? Will GPS systems require immediate recalibration? How will wildlife be affected? Will there be a technological breakdown causing the grounding or loss of navigational systems of our aircraft? I would love to hear your thoughts, Mr. King! A tall order of questions! If the magnetic field temporarily disappeared during a reversal, auroras would occur at all latitudes and more cosmic rays would penetrate to the ground. Since this increased penetration currently happens at the poles without apparent harm to those who are there, the increase may have little affect. And while we do get protection from cosmic rays by the magnetosphere, the sun and its domain called the heliosphere are our chief protectors. Past field reversals appear to have had no noticeable affect on life as far as we can tell. No mass extinctions anyway. I suspect satellite electronics would be more vulnerable, too. While our magnetic field does protect us from dangerous space radiation, it’s not our only defense. The atmosphere also plays an important role in protecting us. If the entire field were lost for a long time, solar winds would slowly strip away our atmosphere and then we’d be in trouble. I saw a TV show once that told about how either the Air Force or satellites had for the first time used sensors to map the true shape of the land underneath all the ice for Antarctica. The map basically lined up with a map from around 1500 of the fabled continent of Atlantis. Weird. What’s weird about that is that people actually buy into that nonsense. Earth’s schedule is every precise, every 26,000 years a minor, every 52-54,000 years major. we right on time for the next major, all this determined by the group at the south pole that have been drilling into the layers of ice. This picture with the following text, what does blue and red mean in it? What is the legend of the figure? Good question! It was my oversight not to include a description. I’ve changed the caption now to reflect that. The colors represent the strength of the local magnetic field in nanoteslas (nT) with blue the lowest and red the highest. There is speculation that Mars had an atmosphere similar to Earth until a flux reversal stalled midway and the remaining magnetic field wasn’t cohesive enough to keep the solar wind from stripping it away. I had read that Mars being smaller meant it cooled faster, causing the fluid motions in its outer core to shut down and the field to fail. There is no end to the theories about Mars. Maybe it lost a moon and the resulting wobble in its axis caused the magnetic field to disappear. It will be a great thing when we set foot on Mars and can begin to answer some of these questions definitively. I think the biggest reason for Mar’s magnetosphere failure is, other than it’s smaller size, is lack of a significant moon. Our Moon is about 1/4 of Earth diameter and 1/81st of Earth’s mass and probably helps keeps the core churning. Without our Moon, Earth too may have solidified like Mars. Mars still has “patches” of higher magnetic fields though. Next PostNext Super Secret X-37B Nears One Year In Orbit Doing ?? ?